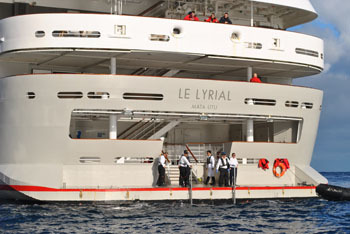 Le Lyrial at anchor off Tristan on 16th March 2019, with the Yacht Jonathan also visible. 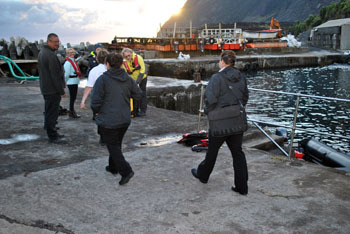 The 10,700 tonne French cruise ship Le Lyrial made a welcome return to Tristan da Cunha on Saturday 16th March 2019, having arrived via Gough Island which was viewed the previous day. 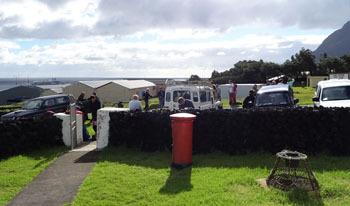 The vessel's arrival coincided with that of the Bark Europa and the yacht Jonathan, so the harbour and village were busy all day with many visitors ashore. RIB at the stern of Le Lyrial with the Bark Europa, right and the Yacht Jonathan visible left. 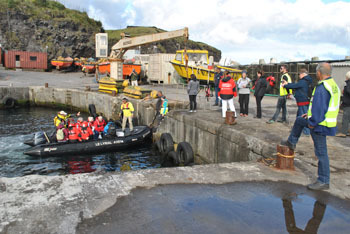 The day was full of activities with guided tours around the Settlement of Edinburgh, the 1961 Volcano, the Potato Patches and the Bluff. 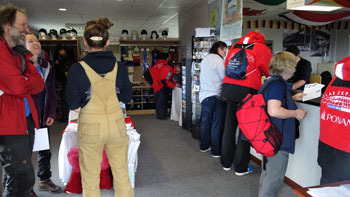 Visitors partook in bird watching, golf and souvenir shopping at the 37o South Gift Shop, Island Store and Prince Philip Hall craft stalls. 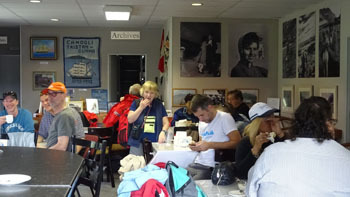 Refreshments were enjoyed at Café da Cunha, where post cards were written to friends and family over a cup of coffee. Being such a beautiful day, after exploring, they relaxed in the Post Office and Tourism garden. the famous Tristan Welcome Sign. 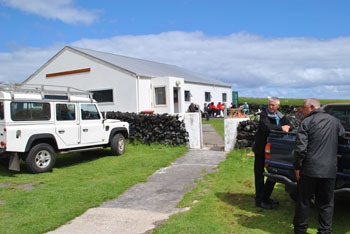 Visitors relaxing around the Post Office and Tourism Centre. 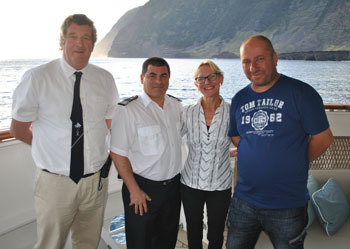 On Saturday evening, as well as passengers returning to the ship, Le Lyrial's captain kindly agreed to take five island passengers to Cape Town. 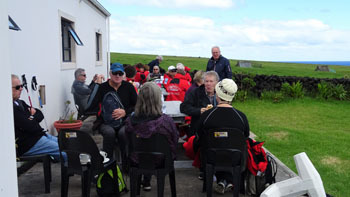 On Sunday 17th Le Lyrial pasengers enjoyed Zodiac trips viewing wildlife close to shore of Nightingale and Inaccessible Islands. That night was spent anchored off Inaccessible, and on Monday 18th Le Lyrial circumnavigated Tristan, blowing her horn as a final goodbye as she passed the Settlement, then headed off to Cape Town, where she was scheduled to arrive on Friday 22nd March. Map of Le Lyrial's cruise via Tristan da Cunha. On this trip Gough Island was visited before, and not after Tristan as the map indicates. If you were on Le Lyrial, we'd appreciate your feedback using our Visitors' Feedback Form.